I've been writing stories since the fifth grade. I've only recently started writing for children. "My Fox Ate My Homework" will be published on November 25, 2016. This will be published in paperback and on Amazon Kindle. I envisioned a story about a boy who wanted a dog more than anything in the world but couldn't have one because his mom couldn't afford to feed it. So how could he have a dog? I figured he could encounter a fox, but he thought the fox was a dog. And then I wondered what could be unusual and different about this fox? It could talk! The actual story turned out to be a bit different, but the boy and talking fox remained. 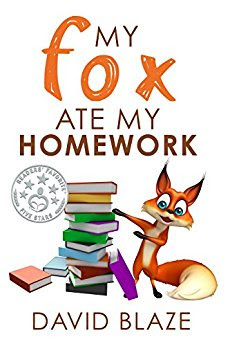 "My Fox Ate My Homework"
I am working on two sequels to "My Fox Ate My Homework", expected to be released in 2017. Joe is an eleven-year-old sixth grader who’s just moved from the city to the country. He is threatened by the school bully to do his homework for him. Joe tries to help his mom save the new house they moved into (it was his deceased great-grandma’s house and it’s about to be taken by the IRS). Joe encounters a fox that can walk and talk like humans. They learn from each other, have fun, and get into trouble. Joe learns what friendship is all about. I wrote this book not only for entertainment but also to teach kids how to stand up for themselves. No one should ever be bullied and feel powerless. I also want kids to value friendship and learn from each other. That’s really what this book is all about. 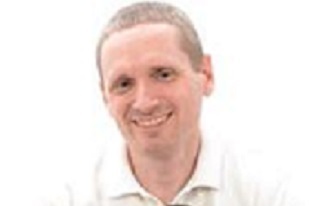 The name David Blaze was envisioned by Timothy David for his son, Zander Blaze, to create a world for him and all children that is fun, safe, enlightening, hilarious, and honest. Wow! That’s awesome! Blog Writer's Note to Author: Your book sounds like the ideal story for kids to read. There are times that kids feel alone and your story sounds like one they could probably identify with, especially if they currently have an animal. Good Luck with your future writing and thank you for the interview.